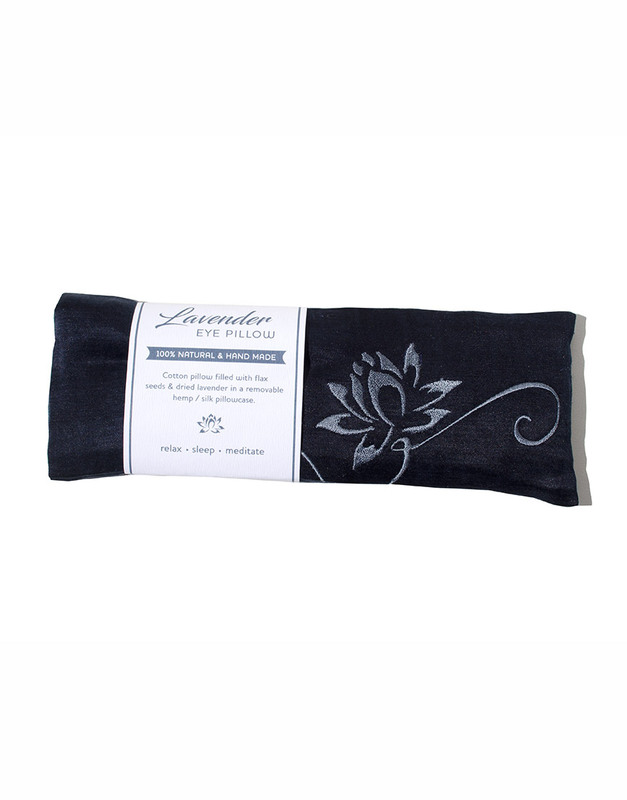 Lie back, relax and fall gently asleep with help of this luxury Hemp / Silk Lavender Eye Pillow. 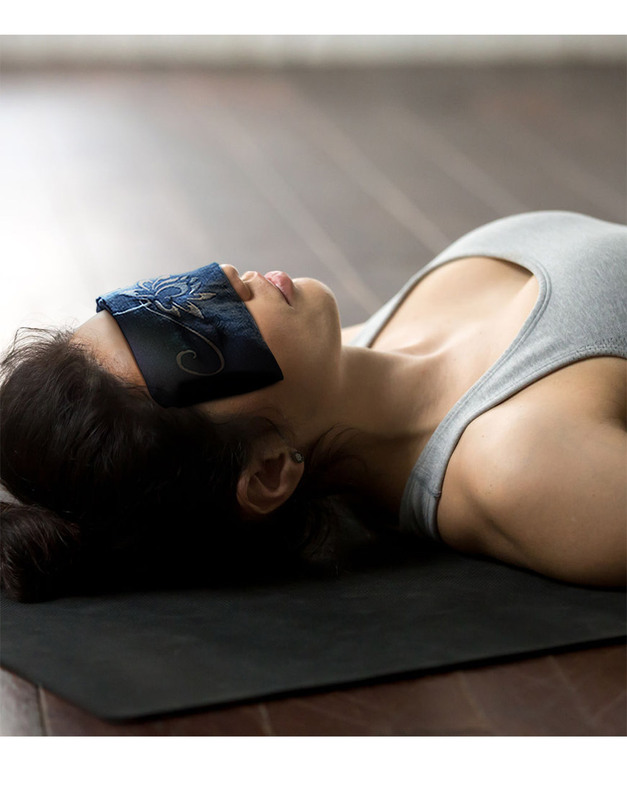 When placed over your eyes, it not only blocks out the light, but the flax seeds gently press the acupressure points on your face to enhance your clarity and calmness. 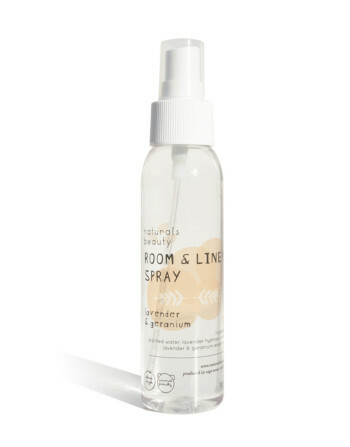 The soothing scent of lavender relaxes you and helps combat headaches and induce deep sleep. 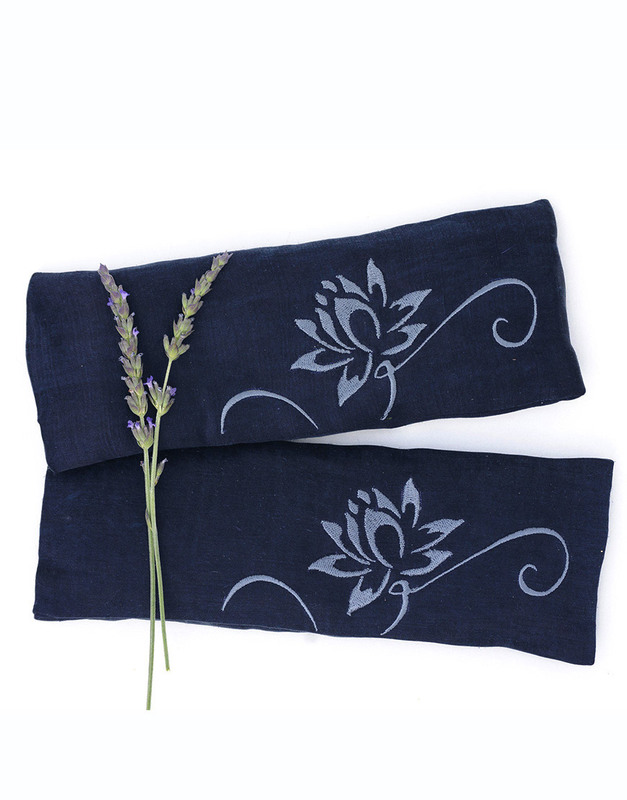 The removable, washable cover is made from a natural hemp- silk fabric. 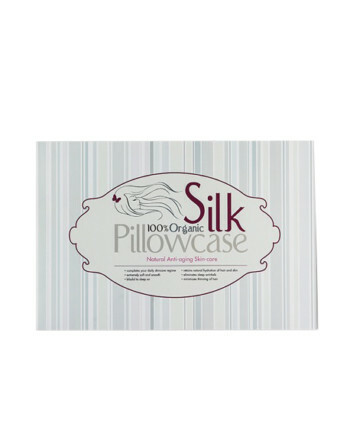 This combines the hypo-allergenic properties and durability of sustainable hemp with the anti-aging, soothing properties that silk provides for the skin. 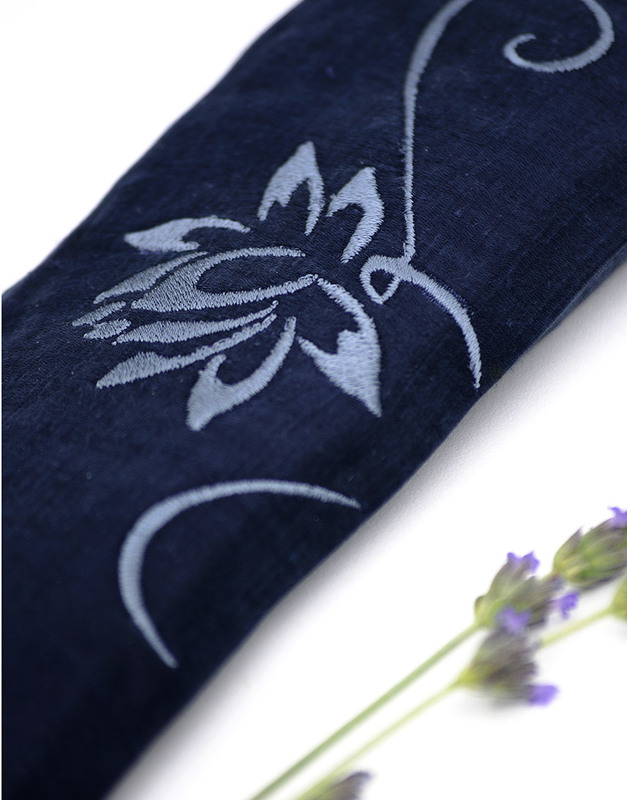 The beautiful lotus flower embroidery is a symbol of purity, detachment and enlightenment for many. 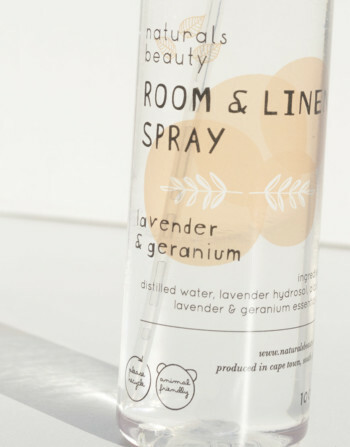 Cool the pillow in the fridge to soothe tired eyes and add a drop of Lavender essential oil if you prefer a stronger scent. 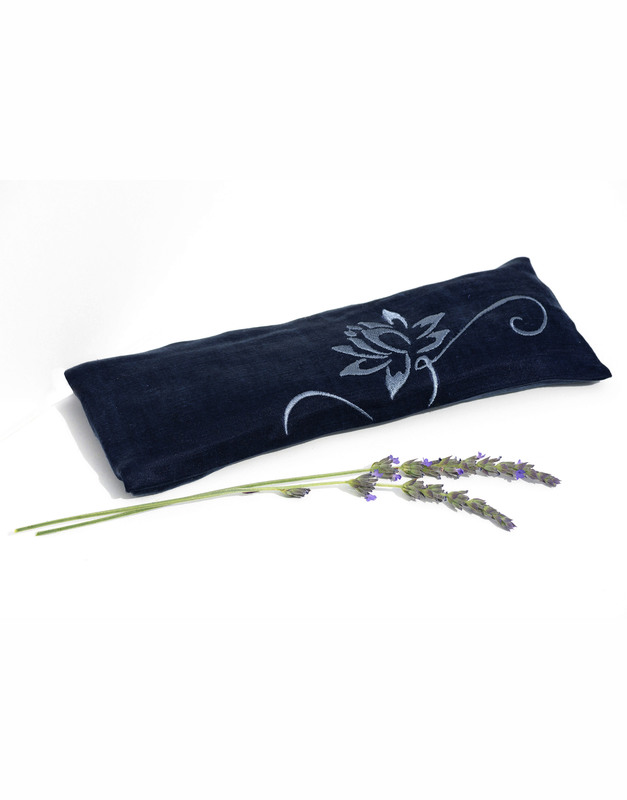 Completely natural and handmade, this pillow is also perfect for post yoga meditation and stress relief. 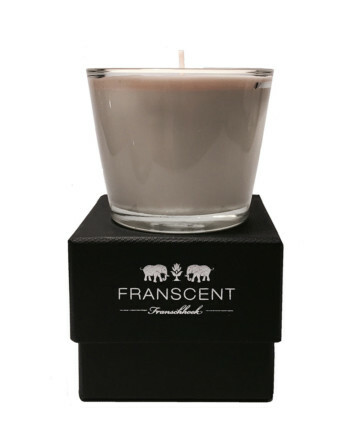 100% natural and handmade in South Africa. 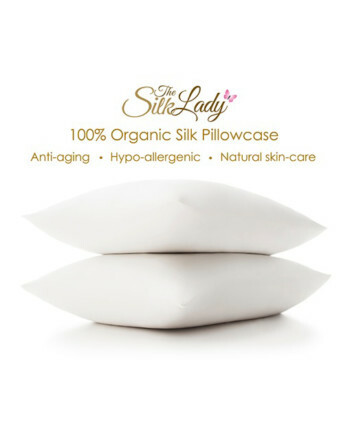 Read our blog about the amazing health benefits of this pillow! 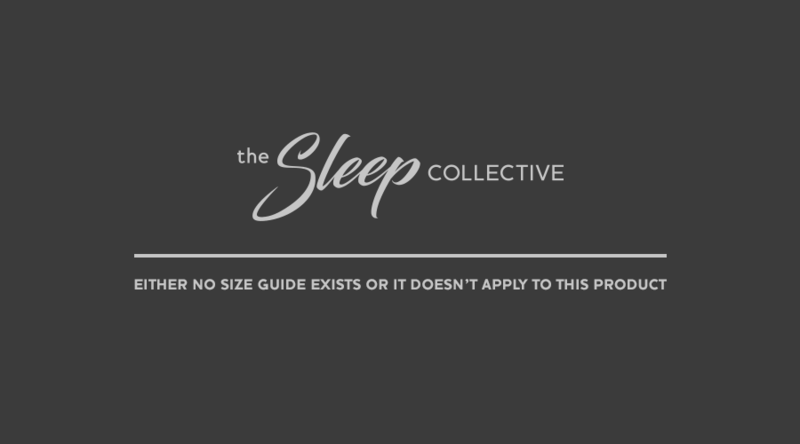 Please note all fields are required!